← Tags or folders? Depends on the file. I was very optimistic about the most recent build of Papers 3. The company announced some change in file management (which I could not quite understand but decided that any change would be for the better). I have also found a way to search within the Papers3 package file (another post coming). So I finally decided to give it a full try by importing my Papers2 library and starting to write with help of Papers3. So far I am sorry to report significant disappointment and regret. The version is still too buggy. In particular, it consistently fails to rename files in accordance with the publication’s data and it also fails to display correct titles of publications in the list. In addition I spent some 30 minutes trying to add eight authors to a book chapter (the app kept erasing all data). Frustrating. This entry was posted in Bibliographies and tagged Papers. Bookmark the permalink. Completely agree. It has continually crashed, and for some inexplicable reason the scrolling of PDFs is choppy. I expect this from Acrobat, but disappointed to see it in a native Mac OS application! Sometimes really choppy PDFs can be fixed by opening them in preview, saving them as a new file, and then re-importing to Papers. This usually happens when PDFs have very large file sizes and doing this opening and saving seems to shrink the file size considerably for some reason. I have the same problem with my copy of papers, in addition, when I copy my library from one computer to another, some “metadatas” change back to the original incorrect values. It is frustrating, but I have reported the bugs to the developers! Adding authors in Papers 3 is annoying, as there seems to be no way to do this without clicking the checkboxes (checkcircles?) that appear. When I’m already typing, I would be so much quicker to just hit Enter to select the topmost author in the list, or Tab down to the author I want. Aleh, thanks for this post and reinforcing my saddening opinion about Papers 3. I am still with Papers 2, and I think that I will completely move on from Papers. I fail to understand what’s going on with the guys from Mekentosj. The fail with Papers 3 is not their only problem, but also their customer support. Four years ago I contacted their support, and got a very nice reply. Two years ago they replied with a generic reply in such a way that it was obvious that they haven’t even read my email. Two months ago, after reporting a serious bug that messed up my library, I have not even received a reply. The deterioration is obvious, and this is the first time in five years that I am thinking about finding an alternative. Papers 3 just made me feel they are on the wrong path: they are trying to sell a buggy software with no new major features (except a facelift), and presenting features available Papers 2 as new features is really insulting (just check their youtube video). I installed the demo to see how I liked it and to be honest I don’t even like the interface changes. There is so much space used by padding, that on a 13″ MacBook you get much less information on the screen at once than Papers2. All the horror stories about stability scare me a lot too. I think a lot of development companies got a little obsessed by iOS development and ‘the cloud’ and have started ruining their programs just to follow this trend. I still find Papers2 perfect for my needs but I’d be really interested to hear about alternatives if you investigate any. I, too, am disappointed in Papers 3. I admit this very reluctantly, because I find the iPad syncing immensely useful, and I still think the search and collections interface is done better than anywhere else. However, I simply no longer trust it to reliably perform basic functionality when I need it the most. It’s sad because I think they really have contributed to the overall betterment of citation management interfaces. But without a core of stability and reliability, everything else is moot. (And I recognize this is difficult to do- very few of the citation managers I’ve tried have felt “solid” to me). Reluctant as I am to waste time reorganizing my library, I would be very interested if any commenters here are happy with alternative solutions. It may be time for me to go back to basics for a few years. I am glad I stick with Sente. Its ipad app has been extremely elegant and the desktop version is also getting good updates…never crashed on my mac. The Magic Manuscript feature of Papers was seducing me a lot. I’m still flabbergasted that Papers3 is a paid upgrade rather than an internal alpha/concept. I tried out the demo of Papers3 and in my opinion even the interface changes are bad. There’s too much padding and so on my 13″ MacBook screen I get a lot less information on the screen than in Papers2. Then with all the stability issues and the lack of easy access to the files, it’s a real mess. I think many developers currently are too obsessed by iOS style design and adding ‘cloud’ capabilities, to the detriment of their desktop programs. I for one, will not be paying for this ‘upgrade’ and I hope Mekentosj will wake up and design the desktop software they are certainly capable of. I switched to Sente after frustrations with papers 3. Sente has a vastly superior annotation system and I love Rob Trew’s script for exporting quotes and comments to devonthink. Also, you have the option of keeping your pdfs in a folder, rather than a bundle, with renaming options similar to what we had in papers 2. Dellu, I have found the posts on your blog (and others) helpful for getting my Sente workflow figured out – so thank you for those. One of these days I will put together a post about my workflow, as everyone ends up with something slightly different. Anyway, for those who feel lost in the wake of the papers 3 debacle, I would highly recommend looking into moving your libraries to Sente. Both the mac and and ipad versions are free up 250 mb or 100 references, so it’s worth looking into. Premium pricing is very reasonable, especially with the academic discount. Can Chris or someone elaborate on this: “you have the option of keeping your pdfs in a folder, rather than a bundle, with renaming options similar to what we had in papers 2”? Maybe the previous version could do this, but It looks to me that Sente’s new version does not allow one to (say) have the PDFs stored in a Dropbox folder. That’s what many of us started doing in Papers2, and it’s a prerequisite for me. I’m an academic who uses a Mac, so I really like this blog and all of the great tips. Usually I just pick up tips, but here I might be able to pass one along. Folks who are disappointed with Papers 3 might investigate using Zotero for bibliographic citation management. It’s free, open source, and a great tool that integrates into most word processors (but, sadly, not Pages, though it can work with Scrivener with a workaround). 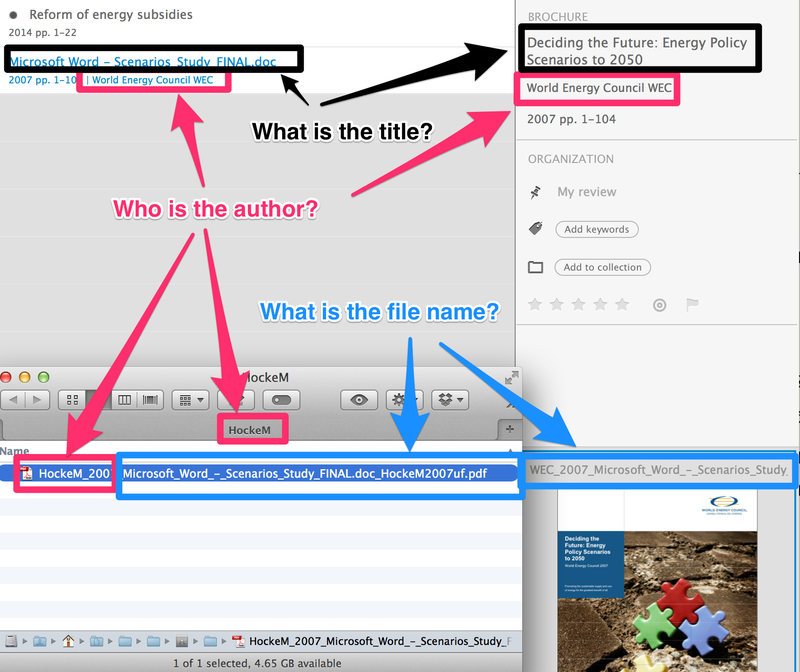 The iPad app Papership connects to your Zotero database and has PDF annotation tools as well, similar to Sente. If you’re a Papers 3 refugee and you don’t mind using MS Word or Libreoffice as your word processor of choice, you could do a lot worse than Zotero and Papership for iPad. You are a great voice for all frustaded users of papers3 users..
They’re completely out of the normal curve of costumer support software. I’ve been following all their staff on twitter since November and it seems the company is out of control. Their CEO haven’t post a single word since the problems were shown at papers3. Their papersgenius in twitter seems to be trying to solve unsolvable problems alone. Their CFO, Mathias, seems to be involved in several other projects and Springer doesn’t seem to give a s*** for them. They also seem to be having serious difficulties hiring new personal too (marketing, c’mon… Hire new developers). In fact I have the impression that everyone abandoned the ship and there are some single passengers doing damage control, after realizing that this “from the ground up” rewrite was a terrible mistake. When compared with something like omni group and Ken Case, I feel (as a long time and loyal user) as a lonely survival on a sunk ship, without a captain! In fact, I think their business is compromised. Read iTunes reviews. They had more than 2k for the original papers app (with an overall good rating), and less than 150 reviews for the 3 version (mostly 1-2 stars, with terrible reviews). Their hole “social buzz” is terrible and irrelevant. Facebook page is nonsense. Twitter is as painful as a “Rocky” movie. Google + is empty. As a loyal user, I hoped, believed and insisted that they could fix this broken version. It is sad for long time users to recognize and accept that a wonderful app, that a lot of us have even emotional relationships with, is sinking. Most loyal users have invested their time and effort to build a complete and organized database. But in more then 5 months, they couldn’t manage to release a reliable version. This version is so compromised, that even basic functions, like opening a PDF emailed to you in an iPad is not possible (or at least is painful). Highlighting is as slow. Syncing is slow and painful. Magic citations got me in trouble at deadlines. Copying citekeys from iOS app is impossible. Trying to match a PDF is hard and time consuming. And the number of repeating crashes is brutal. Nobody deserves another windows vista/sony vaio terrible experience. Apps like drafts, editorial, folding text, scrivener, slack, devinthink, textexpander, google drive and many more are a reality for academics! They just work! Even office for iPad is not so buggy! I’m abandoning this ship for now, with a broken heart. I really won’t wait for a version 4 paid release, written “from the ground up” to fix all their self created bugs. Good luck for all users, but for now, I will invest my time in another ship, with a real and leading captain. Ps: I really hate when a wonderful app is rewritten “from the ground up”. Why!?!? Do you need my money? Charge me for a working and reliable version and I won’t hesitate to give you my money! As others here, I have been dissatisfied with Papers 3. My library is now around 10K refs, including 3k pdfs. Of the alternatives I’ve tried recently, BibTeX (too much work), Sente (didn’t sync my pdf annotations with other apps, no detection of duplicates), Mendeley (doesn’t scan the document file types I use, Pages, plain text, Emacs org mode…), the one the stands out for features, customer support and practicality is Bookends. If there is a feature you want, the developer will probably add it or give you a reason why he won’t, or more likely, point out it is already available, and often do so within minutes of you asking. Bookends has consistently impressed me, so do give it a try. One thing I find puzzling is the mindshare that Papers has. Whenever I hear an academic talk about a reference manager on a Mac-centric podcast, it nearly always seems to be Papers that they use. I guess not everyone is having the same experience we are. The development and release of Papers 3 seems to be an object lesson in how *not* to go about things. A sensible flow might be: first, develop — second, fix bugs — third, release a beta of the software to a few people, etc … One gets the impression that they have done things backwards, or something like it. It is a shame — I like Papers 2, although it is not perfect. But this disaster makes me think that I had better find an alternative, because Papers 2 will eventually stop working, and it might be better to have another program integrated into my workflow before that happens. I’m tempted by Mendeley, but I haven’t yet tried it out properly. There is an app for iPhone which is good for me. Bookends is bullet-proof, and has been for years. It has a lot of tools for tweaking its database and so forth, but it is far and away the ugliest duckling of them all. Also, the tools for finding and downloading references are not particularly slick, in my view. On the plus side, support is exemplary. In my experience, it does the job, and does it well, and has some tools that others just don’t have. But it just takes longer to do certain things because the interface lacks thought and polish. For those who use Tinderbox, it is the only program that integrates with it seamlessly. Sente is quite pretty, but I feel it is a little flaky, and the support is not ideal if you run into problems. The ios app is iPad only, and I don’t have one — so that is a minus for me. There are good scripts for integrating with Devonthink, which is a plus. Synchronisation with the cloud now seems to be good — though it is not much use to me as I’m limited to an iPhone. At the moment I’m slightly tempted to use Sente for finding and downloading references, and then exporting them to Bookends to do the rest, but that is hardly ideal. It’s bizarre that such a basic tool for academic work as a bibliographic database should be so difficult to find. But I suppose I shouldn’t be surprised. I must confess that I had been impressed by the videos describing the new Papers 3. I went out and bought both the desktop and the iPad versions at once, without too much googling around. Now, what a mistake that was. I agree with all negative comments here. I have experienced all of them and many others. My own bug list has well over 25 entries (since last Friday). Papers 3 is a disaster. Following their Twitter it’s clear there isn’t a bug-fix version in the works, or else surely they would be mentioning it. I have just installed Sente. It proved to be a much superior product within minutes. What was it about Sente that makes it better than Papers3? I am just doing a bit of research before I decide on the best option for working on my MSc thesis. Also since I am a student, if I were to shell out $79 for a product, I’d like to think that it would be worth every cent. To be fair: for my own work-flow Papers still seems to be the best approach, and I don’t see it as a “form-over-function” issue. I guess it depends on the function you’re looking for. I never was looking to replace endnote (or Procite etc). For my use, it instead complements Endnote, and rather replaces a reliance on hardcopy articles organized in paper folders, or PDF versions in digital folders. Thus, the key features are: viewing and reading the PDF, being able to rapidly search them (full text), and organizing into folders (or with keywords) in a fast, reliable and flexible way. This was the heart of Papers v1 and fortunately persists to this day (despite an apparent prioritization of the developers for all sorts of other features). In the end, I don’t really use (or need) the “new” features of v2 and v3: citations, highlighting/annotations, Livfe, twitter, facebook, etc. I don’t even use the (improved?) Papers built-in literature search anymore, going back to basics with a Safari-based search approach (along with a bookmarklet), made fast(er) by use of customized Alfred’s searches. My view is similar to Fred’s in most respects. Since abandoning Papers and not yet being sold on any of the alternatives (Sente, Mendeley, etc. ), I am gradually discovering that the Finder in Mavericks does much of what I need very nicely. I have my PDFs in a folder (shared with other devices and students via OwnCloud), search them with Spotlight, and view the results as Cover Flow. With LaunchBar in the mix, I can do essentially everything from the keyboard (e.g., open a PDF in Skim for reading and note taking). A custom search that is saved will give updated results as the PDF archive grows, etc. I am sure there are lots of tricks that could make this an even more powerful workflow. For example, how to get the most value out of Mavericks “Tags”? One big issue with this approach for me is that I rely on the ability to organize individual PDFs into multiple collections (folders), and I don’t think that using aliases (etc) is a viable/convenient way to handle it. I have been wondering about a general issue regarding PDF format that has great bearing on this topic: shouldn’t there be a convention that allows saving tagged-field bibliographic data within the PDF file? I am pretty sure something like this is available for cataloging images in photography. I have been using (what is now) Phase One’s Media Pro, and it has long had a function for saving “personal information such as annotations, catalog sets, and custom fields to original files”. My understand is that this info then becomes part of the image file’s metadata and therefore accessible to other applications. There’s even an option to make updating metadata embedding automatic. If we could do this with bibliographic data and PDFs, it would open up all sorts of possibilities for sharing or switching between reference management applications. Sorry, I didn’t notice that autocorrect had done its evil work: Aleh! It’s a good question. I will try to write about metadata once again soon. I’m also very disappointed in papers 3, after happily using papers 1 and 2. I’d like to revert back to papers 1 or 2, but unfortunately I’ve added many important references in my papers 3 library. Does anyone have advice for converting a papers 3 library back to papers 1 or 2? When I did this, I selected the “new” references from Papers 3 and exported them to a Bibtex file. Then I used my old database in Pap2 and imported the bibtex file. Anyway, you have to be careful about the files you export with Pap3, because the application can corrupt some of the metadata. That’s why I re”matched” (and if necessary reedited) each of the reimported refs. It took me some hours but finally it is in a state I can work with again. After all I’ve read, I haven’t even tried to look at Papers 3. Im still sticking to Papers 2 until it breaks. Has anyone tried ReadCube? ReadCube is a very nice but miniature program. No (basic!) organization features make it unusable for now. But unlike Papers, its advanced features are promising and compelling. My eye is on it and I may switch to it when it is out of beta. If you have anything like a professional library (a few thousand records), ReadCube is rather useless. It spent DAYS trying to match my 5000-paper library (over a high-speed connection). It is very slow/unresponsive and has very few features. Anyone who needs referencing software on a daily basis will be disappointed by this app. Really enjoy Professor Cherp’s blog on academic workflows on the mac. His article about Papers is correct. I’ve been using it for a while now and am on to looking at other alternatives. Readcube – when the new version is released – will be my first stop. This aside, read this blog for some great ideas! Is there someone who has experience with PaperShip for mac ? Great comments. I loved Notabene when I was in the Windows world, but their new 64 bit version (which boasted compatability with OSX through Wine) took too long to develop (and is currently in Beta 20). NB was terrific as a suite for researching, writing, and referencing specifically for academic writers. I miss it terribly, but love the Apple way too much to go back. My first foray into an alternative for referencing (Scrivener having captured my imagination for writing) was Papers 2. I thought it was a great piece of Software, and I bought both the Mac and the iOS version. When I heard about Papers 3 and saw the beautiful new interface I immediately upgraded everything, only to learn that the upgrade for Mac was a buggy beta and the iOS upgrade just crashed continually. Much of its hype seemed to be about integrating into social media, which doesn’t interest me. I kept working with it and adding to its database, and now have gone too far to go back to Papers 2. In frustration I bought Bookends, which not only reminds me of Ibidem (NB’s reference manager) but it has imported my Ibidem database (so far) without any problems. It’s not pretty. But it works (and the developer is as responsive as Steve Siebert and the NB team were. I’ll never go for form over function again. I’m not sure if this is the right forum, but I wanted to speak with you, as I don’t know many former Notabene MAC users. As a Notabene user, I’m beginning to look into other possibilities for my MAC environment. I spent most of my entire adult life on Windows with Nota Bene. About a year ago, I switched to a MAC. I’m kind of a geek with computers, but I can’t tell you how much more I like MAC over Windows: ease of use, lack of bugginess, quick loading, lack of viruses, aesthetics (which are important to me), and on and on and on. I’m just stunned at how I lasted so long without a MAC. I’m still trying to use Notabene, but struggling to get it work on a MAC. There have been a lot of bugs for me, and I just don’t like the way it looks. Here are my problems: 1) I work in a multilingual environment, including Greek and Hebrew, as well as multiple modern languages. Is there a way to transition from Notabene to Scrivener and Bookend without a lot of problems? Are there other apps I should use? 2) I have thousands of bibliography items in Ibidem, a few of them multilingual. Will they transfer to Bookend? ; 3) I’m also a fiction writer, especially poetry, and so I want my word processor to reflect these diverse interests. Here are my problems: 1) I work in a multilingual environment, including Greek and Hebrew, as well as multiple modern languages. Is there a way to transition from Notabene to Scrivener and Bookend without a lot of problems? Are there other apps I should use? 2) I have thousands of bibliography items in Ibidem, a few of them multilingual. Will they transfer to Ibidem? ; 3) I’m also a fiction writer, especially poetry, and so I want my word processor to reflect these diverse interests. I am looking for an alternative to Papers and was wondering if anyone here is familiar with ReadCube? It seems to have quite nice functionality, however it has ties to the publishing industry (not unlike Papers or Mendeley I suppose), which can be both positive and negative. Where do you see the future of academic paper software going and which path would keep one’s options most open? Thank you! I’m really frustrated with Papers, and I’ve been using it since 2011 with Papers “1”. I actually didn’t mind too much the changes in appearance, and I liked the dropbox integration. However, recently (using 3.0.24), I’ve been having frequent crashes and problems; sometimes the program even forgets my license. Today, I’m stuck with all my collections missing (yet the papers themselves still say they are part of those non-existent collections…), this at a time when I really need to use Papers for a writing two proposals. I’m forced to use “colors” to tag my papers since I don’t know when the next crash will occur. I actually just recently had something similar happen to me – all my references lost the links to their respective PDFs and all collections disappeared. Data corruption in a reference management program is a no-go for me. I’ve switched my critical stuff over to Sente and will be migrating the rest in the weeks to come. So far the functionality and stability have been excellent. I do however miss Paper’s Magic Citations, but am otherwise not looking back. I got my money back for the iPad version. App Store support was helpful. Has anyone figured out how to retrieve these lost collections in the Library Sidebar since this discussion? I just ran into this issue – the collections disappeared from my Sidebar but are still listed in the paper metadata. Thanks! Thanks for the update. I’m a doctoral student using papers 2 and I was contemplating whether the upgrade to papers 3 would be worth it – obviously not! I’m sticking with it until I finish my thesis!! I’m wondering if anyone has experienced the following on Papers3 on IPAD when syncing? 2. Database upload progresses to about 50% and then app closes. Aleh, thanks for a couple of excellent blog entries on Papers 3. I’ve relied on them to decide on whether or not to move from Sente (after having moved from EndNote) as it wasn’t serving me very well. In the end I opted for Papers 3 because I liked the way it was allows me to streamline author name and publication title management. The only issue — and this is the reason why I’ve been changing my reference management software — is the eccentric way Papers does its DropBox synchronization. I’ve become a three device academic, working across my Mac Pro in my office, my MacBook while on the go, and on my iPad (usually for reading), so synchronization has become a must. The problem with other reference managers is that you need to rely on their servers for this task. Being located in Asia, I’ve found the process slow, probably because of the trans-Pacific network latency. So DropBox seemed like a great way to go. When a reference is updated on my desktop, it updates the library on my local DropBox account. The DropBox app then automatically syncs with the remote servers, which means the next time I turn on my laptop, the app on that machine should pull the updates across instantly. When I open Papers on the laptop, it should access the changed files on its library on the local DropBox folder. If only it could have been that simple. Apparently, the developers of Papers have added one layer of complexity. Papers doesn’t work directly with the library located on the DropBox folder. There is a separate Papers 3 library located in the “~/Library/Application Support/Papers 3”. When you start Papers 3, it loads from this library, and if you’ve told it to sync with DropBox automatically, it will do so eventually. This process just takes ages, even on my late 2013 Mac Pro! I’m not sure what the reasons the developers have for this but it just seems like an absolutely superfluous process when the whole point is just let the Dropbox app do the syncing than to repeat the process. Have to say I agree. Having been using Papers since v1 and told all my friends to use it I am now in the position of trying to write up my PhD with software that is becoming worse with every minor “upgrade”. I wish I had stuck with Papers 2. I will never be recommending the software to anyone again. My take on this is that indeed it is quite worrisome to see the priorities of the Papers team in recent years. Still, I can’t say that any of the alternatives are any better yet, at least for my way of working. My approach (and advice) is to indeed stick with v2 as long as possible. It is *now* overall better than v1 (after a pretty horrible start, that pretty much parallels the current launch of v3… so we know what to expect for v4, next year??). It does however seem sensible to try to avoid lock-in as much as possible, for a possible future where one would want to (or be need to) a different software package via export as BibTex or Endnote XML. The main non-portable features seems to be the builtin annotation feature – so I generally try to annotate the PDFs directly, which will be portable. Will mendeley be a good replacement? I am a graduate student pursuing a Ph.D degree… So so confused after all the articles and posts online about all these literature tools.. I will really appreciate if you can give me some advice. I agree with all the comments above. Papers 3 is a total disaster. I have been using Mendeley however, it has its own problems – still ages behind what should be in a modern reference management software. I have started using paperpile app (https://paperpile.com/) which lives in the cloud like GMAIL, however, at work I use a desktop and it works well. You have to use google docs but you can download the references in endnote to use. The best feature is when you are searching PubMed it tells you which papers you already have in your library. I would like an Desktop app/iOS app for it. The bottomline is that in 2014 we don’t have a cutting edge reference management software out there that can do all that we want. Such a shame. Paper is my favorite Reference Management Software. But, it takes 5 steps to move a paper to a more specific collection. For some reason (1) moving it via drag-and-drop unfiles it, (2) unchecking the parent collection (in the info panel) also removes the paper from all child collections, and (3) you can’t see which papers are in the general collection without going through each paper one-by-one. Are you all experiencing the same behavior? Am I the only one that incrementally files papers? Thank you for sharing the video. I have not experienced this behavior because I don’t usually move by dragging. I use the right sidebar instead, click on the plus sign and choose the collection I want. This produces an accurate behavior. Moreover, if a paper belongs to a child collection it seems to show in the parent collection as well. I think that part of what you see is indeed ‘intended behavior’, but that you’ve also highlighted some real bugs. E.g. the moving to a more specific (sub)folder issue that unfiles them altogether clearly is not by design (at ~0:35 in video), but I think there are one or two other bugs in the filing operations, in particular using the mouse. However, I also want to mention that some of the other behavior does reflect a real feature of papers, which is that by design all articles in a sub-folder are also part of the higher (parent) folder. To leverage this your collections should reflect a hierarchy where this makes sense. (i.e. papers on thumbs should also be papers about hands). I actually really like this feature and miss it in other programs. But it does result in some complexities that are not directly apparent. E.g. you are not allowed to have a paper only in the subfolder. What this means is that if you have papers on thumbs that are not in a “hand” context, then you should probably not be filing it in a sub-collection of “hand”. Regarding the bugs: did you share this video with them? In my experience they sometimes glance at the report and then assume that you’re simply confused by the designed features. You may have to really spell it out to explain what is going wrong, and I would think that your video is pretty clear. I agree that it can be useful to see all “hand” papers (recursively). However, it is also useful to be able to see *only* “hand” papers. If I have one paper that is about biology in general, then even though I marked it as “biology in general,” there is no way to find it. I agree this was the intended behavior (so I filed it as a feature request), but I think the lack of option is a real usability problem. Imagine if the unix command “ls /” showed the millions of files on your computer, and there was no other way to find the handful of top level files! I filed the other ones (moving un-files, un-starring un-files) as bugs, but I believe they also said that is the intended behavior. I’ve enjoyed using Papers for many years now and it has served me well. But Papers3 has been a thorn in my side. In Papers2, the PDFs were accessible in the file system and were indexed by Spotlight, so I didn’t have to be in Papers to access a file or to search for it. But now, Spotlight never sees my Papers3 database. I used to index in Devonthink too, but I’m not even going to try that anymore. And I’ve found that tagging PDFs stored in Papers2 with the Mavericks tags is a no-go as well. The only thing keeping me with Papers3 now is the magic manuscript feature. If somebody else can do that but not have the idiosyncracies of Papers, I’m sold. I have gone back to Papers 2. Your Papers 3 license is also valid for Papers 2, and Papers 2 can still be downloaded. But keep in mind that this will eventually stop working. I’ve found PDF Stacks at http://www.pdfstacks.com a much better tool than Papers. PDF Stacks has similar features compared to Papers, but lacks a crucial one: You can not cite your references in word processing applications with it. PDF stacks does not provide licenses that let you run it on more than one computer. My Papers 3 license allows me to install on multiple Macs and run on one at a time. I run on my laptop and my desktop machines (one or the other). If PDF Stacks would change their licensing to allow this, I’d seriously consider moving to them away from Papers. Does anyone know iof Papers 2 is compatible with Yosemite? P2 is stable enough for my needs, and I sync across desktops using Dropbox. I desperately don’t want to lose the ability to lose direct access to my pdf if necessary. Seems to work on Yosemite. Not that I have thoroughly tested it! Excellent, thanks. Would love to hear more as you use it, especially if any issues crop up. P2 is too mission critical for me to risk upgrading my OS any time soon. I’d also be really interested to hear more reports on how well Papers 2 runs on Yosemite. Thanks. Hi, I tried it today and Papers2 itself ran nicely, but Magic Citations did not work any more on Yosemite. I tried it with Word / DevonThink. So I already “downgraded” to my latest TM Backup again. Papers2 Magic Citations works just as usual on my Yosemite install. I still have to see the first “new” bug. I’m using Papers2 on a daily basis. Yosemite upgrade has not broken anything. Even EndNote and Word (notably broken after previous OS X upgrades) work without hiccups. Yes, I just ran into the magic citations bug. What I’ve found is this. In Microsoft Word .docx magic citations for Papers 2 works as it should (I have the Office 2011 version). But everything else I’ve tried, I think especially the .txt or .rtf based apps (so far I’ve tried Ulysses 3, Sublime Text 3, Text Edit, Text Wrangler) magic citations is now broken. Although everything seems to be OK at first (ie the citations window appears and behaves as it should), no text gets added into the document. As I’ve been using Yosemite for a week already I’m not going to roll back to Mavericks. If you right click the reference you want in Papers 2, a menu pops up to copy the type of citation you want (in my case Pandoc citation) to the clipboard. Then you can paste it in to your document. I think I’ll do that for now. Or you could use Word as a kind of drafting tool before you copy across to your preferred writing app. But yes, a real shame, as in all other respects Papers 2 appears to work well under Yosemite. Interesting though that for @Jo, magic citations wasn’t working in Word. Also, @Koenraad, could you check whether Papers2 magic citations works in TextEdit? It would be great if we could work out a fix. @utsira: You’re right, Papers2 Magic Citations no longer work in TextEdit, Pages and Mail on Yosemite. Papers3 Magic Citations work in TextEdit and Mail, but not Pages (the latest – 5.5.1). I have meanwhile also noticed the graphic glitch during the matching proces (Pares 2 AND 3) but that seems to have no functional repercussions. Maybe it is not only depending on Yosemite, but also on the machine you are working with? After Koenraad’s reply I tried a clean install of Yosemite and experienced the same problem again (on a MacBook Air 6,1 – late 2013). So the new OS X is still not an option for me. It works, most of it. More graphical glitches has been introduced when matching papers, but that is relatively minor as it doesn’t affect how the program works. There’s one major bug that has been introduced though, which most likely will make me upgrade to Papers3 *shudders*: You can not paste some text into the journals search field anymore. If you do, the text will appear, but you can not make the field ‘accept it’ for some reason, or activate search engines. Even removing pasted text makes the field unuseable, as even written text is not ‘activateable’ for search. For some reason it works *sometimes*, but I haven’t found out what the difference is. I can say though, that this bug appear at least 90% of the times I try to use it. David, I can’t reproduce the search field glitches you mention. However, Papers2 has been quirky with pasted information into that field since the very beginning. I use TextExpander, and if I inadvertently type an expanding text, the field “closes” and it is very hard to open it up for editing again. Your remark about the journal search field sometimes becoming unresponsive is correct – has always been like that. This function is the probably shoddiest Papers2 feature. Ha, what is the “shoddiest” feature of Papers2, I think there’s some competition for that prize. That’s what annoyed me most about the paid-upgrade to Papers3. That’s fine if the last available version of Papers2 is bug-free, but it most definitely isn’t. brings up the exact same set of results. Every paper with “public” in it, and every paper with “sphere” in it. Maddening, and utterly useless. What is the point of building a massive database if you can’t access it? Is this behaviour fixed in Papers3? I asked if they plan to fix papers2 and this issue in particular, and got a generic and vague reply in return. I was a long time papers user, but am now looking for a good alternative. It is awful for recent (paid) software to fail so horribly on the latest version of the OS it is designed for! @Aleh Cherp: Thanks for your review. I have been using Papers since v1 and I updated to v2 some time after it was launched, but I still didn’t upgrade to v3… Could you tell us something about this latest update? While we’re at it, I installed the latest Papers3 update yesterday. It has a more Yosemite-like look and viewing comfort (one of my main gripes) has been greatly improved. I’m going to give it a test drive on a project over the next month and let you all know how it went. Yes please, I’m still on the fence with Papers3. Do you still have to have your entire library in Dropbox if you want to sync with the iOS app, or are there workarounds for that now? From the looks of it, the only way to sync is by setting up Dropbox and then your whole library is synced. Doing this for my library would eat up most of my Dropbox allowance, so I’m not doing it. Yes my library would take up nearly all of my dropbox. So the iOS app is not on option basically. … oh and some even use mendeley…. and of course the Mac stalwarts Bookends and Sente. Just wanted to put it out there that I was also initially struggling with paper, but have to admit they’ve gone a long way fixing all the bugs. I switched to papers right after they released papers 3, so according to most reviews pretty much at the height of their low, when a lot of the bugs cited above were unfixed. Now, I can’t think of anything that hampers me during my daily task. I have to say I haven’t tried the “cite while you write” kind of feature but copy pasting references works. The accessing the supplementary material on the website through the app is the highlight for me, as I like having everything at hand and in the same place. Just thought I’d let people know that they were indeed messy but they’ve fixed most of it and I believe they deserve credit for that. Thanks for your opinion! I’m using Papers 2, and I’m not thinking of changing to another software. But I’m still afraid to change to Papers 3 and lose all my highlights, comments and notes. Also, being able to open the pdf file in finder is a must to me. I upgraded from v2 to v3 as soon as it was released (I’m one of those early adopters), and I suffered greatly. Lots of bugs, loss of PDF’s, etc. However, I am on the latest version 3.2.4, and it seems to be working fine. Most of the critical issues have been fixed for me. I still have a few opened tickets with support, including one pesky bug where my iOS app not syncing accurately with my desktop. I even gave Papers for Windows a try, but that product resembles more like ‘alpha’. It’s unusable. I am very disappointed with Papers 3 (v.3.2.4.). I can’t find many articles (either using author’s name or the title) when using citation manager during writing of a manuscript. It invalidates Papers at all. I would be grateful for any suggestions. I installed v3 as soon as it was out and have been running the beta-versions all along on the Mac and the latest iOS version on my iPad, without any major problems. From my point of view I don’t understand all the critique you are voicing here. I have found one irritating problem that they haven’t been able to solve: when I do an article search in WoS from within Papers 3, it often just stops without producing any results if I use the wildcard symbol *. Often, but not always. But apart from this it works very nicely. I enjoy reading my articles on the iPad and doing annotations there. When I am back at my Mac I then send my annotations to Scapple or Scrivener, depending on where I am in my writing. Hi, Lars. I’m having all kind of problems syncing between my macbook and my mac mini. I have around 320 papers all of them with PDF file. How many papers do you have on your papers installation? Are you running papers3 for mac? I’m on P3 3.2.4 also, on a Macbook Pro retina/Yosemite. It’s now fast enough to be usable (I have ~16K refs), which is very good. It crashes often when importing/matching references. They still don’t have a sync capability that doesn’t involve Dropbox, which I am not able to use (employer IP restrictions). I’m interested in migrating away from Papers. I’d like something more stable, with sync that I can run locally, and with an export capability that would preserve my database in the event the company goes out of business. I am using papers both on my mac and iPad. Ocassionally I experience very annoying issues: such as crashes, all of a sudden missing authors (! ), matching works but suggests a lot of noise as well, searching doesn’t really work – too much irrelevant papers even if you provide exact title and authors. I believe the developers would better focus on stability and bug fixing rather then adding more features. Nevertheless, having tried all available reference/citation managers I still believe Papers is the best in terms of workflow. Magic citation is a killing and working feature for me (I use Scrivener). Last year I gave up with the previous version, now I tried the most recent papers 3 version for Mac. There is obviously a need for this type of software , but its still not better than setting up your own folder system in the finder and then using acrobat to read and Endnote for citations. In brief, its full of bugs and terribly slow on my Macbook Retina. I have been wondering how well Papers 3.X was working. A while back I sent a note to Mekentosj describing the problems that I had early on. They wrote back that since then there had been quite a few updates, and things were working fine. My issues with the software were three. First, I had been using their initial iOS version with Papers 2.5.X, and it had been working well. I didn’t like having to use Dropbox to sync. Second, the matching in vers. 3 did not work very well. When it put up a list of potential matches, I could only see the first few, and if the paper I wanted to match to wasn’t in there, too bad. Third, it was ugly as sin. This last isn’t really a comment on the workability of the software: I’d put up with ugly software if it did the job well. However, Papers 3 did not. I have continued to use Papers 2.X. I am up to 2.7.2 right now. I will continue to use that for a while since I have three grants that I am trying to get together by February, and a review due in April. Not a good idea to switch now. It seems that it may have improved since I first tried it. I might be willing to give it a shot if it has. If it hasn’t, what does everyone think might be the appropriate replacement? I was very reluctant to switch from Papers 2 to Papers 3, on account of comments such as those here and elsewhere. I did so just this week and, in the interest of adding some balance, would like to say that on the whole I am VERY HAPPY with the upgrade. Once mounted (in /Volumes/Papers Library on OSX), you will have your full library available, with files renamed according to the rules specified in Preferences – essentially the same as Papers 2. Where Papers 3 is BETTER, is that you can also browse your files by Collection. Because the virtual disk is dynamic, it means that files will appear to move around as you move them around your collections. In other words, you manage your Collections in the app, and your files get organised into corresponding sub-folders. Papers 2 could never do this. Now the benefit of this setup, is that to all other applications, these folders are real folders, containing real files. Which means I can have a regular sync setup to extract the *categorised* and *human readable* PDFs (with ChronoSync, but any app will do) and place them anywhere I like. So there you have it. What I most feared about Papers 3, has actually turned out to be better than ever. I have aired my frustration about Papers3 several times on this forum. But I must admit that a few things seem to have improved since 3.2.7. To the extent that I’m back to using Papers3 on a daily basis. I have tried most other packages out there but nothing comes close to the ease of the Papers workflow. I guess that’s the app’s main strength, since honestly, it is so quirky in so many places, none of us would put up with this kind of amateurism if it concerned eg a mail or a word processing software. I still can’t quite understand why they butchered up the matching function so badly. That stupid floating window that appears every time you search for matching papers, effectively covering the results so you can’t see them, which moronic programmer has coded that??? They could have easily moved that window to the top or the left, but no, it absolutely needs to be in the way of the information that the search function is displaying (…moans of frustration…). Other than that I find myself constantly juggling the main window’s columns around because they don’t keep their settings, the “search within library” function is totally buggy and will NOT give you correct results, don’t trust it! The handling of supplemental files is not intuitive, I struggle with it every time while it was a breeze in Papers2. I miss the wifi sync a lot – my library is too large for dropbox so I can’t use it. So I also bought a rather expensive ipad app that is now just sitting there. But yes: despite the shortcomings, the workflow is still by far the best out there: the folder-based automatic import, the matching function (even botched up as it is), and the easy citations function – they have brought me back on board. Despite the several-times-daily aggravation of having to deal with the idiocies of the program. And to your last comment: I do not consider Papers3 to be a worthwhile upgrade, but considering that Papers2 is now essentially on its way to being abandonware, us users who need this software for business purposes are not really left with a choice. Which does not add to my overall level of happiness when using this software. I’m using version 3.2.7 and I’m still so frustrated with it that I’m ready to switch elsewhere. I tried to stick with it because Papers in general has so many useful features – Magic Manuscripts being the main draw – but it’s simply still so buggy that it makes it frustrating to use them! The latest update did improve the stability somewhat, so it doesn’t crash *as much*. That’s not saying a lot, though, because it used to crash every time I tried to do something and now it crashes like maybe once every 7-10 times I try to do something, mostly adding authors to references. It also doesn’t save my alterations to references – like when I try to put titles in title case, it will just change them back, or when I try to change the journal it will revert back to whatever mess it has imported. I’m about to take the plunge and try Sente. I’ve been using Papers since v.1. I still use Papers3, but I’m actively looking for a replacement. I have a large database and database corruption is a continuing problem. Last weekend, I found that Papers3 has disassociated pdfs from my references. In some cases, it has simply lost them, although by using Spotlight to search for titles, I can find them and manually re-associate to the reference. In other cases, Papers3 has substituted another (wrong) pdf for the one that used to be with the reference. In yet other cases, Papers3 has lost the pdf and I’m not able to locate it on my machine. Finally, when I set the view selection to show me only those references that have no pdfs, Papers3 shows me only a fraction of the references that have no pdfs. The reference/pdf association structure has been deeply damaged, cause unknown.None of Papers3 library repair tools has helped. I have over 16K references, and this loss of pdfs is a nightmare to fix. I will be spending weekends for the foreseeable future finding lost and misassigned pdfs and re-associating to references. The pdf disaster in my database is the last straw. Combined with ongoing lack of local sync (can’t use Cloud services with my clients, sorry), I’m ready to drop Papers. I think that the jump from Papers 2 to 3 was under-resourced for what they tried to do. The application’s stability and reliability suffered and haven’t recovered. Any recommendations for alternatives on the Mac? Sigh. The saga of Papers just seems to get worse and worse. I had upgraded to version 3, had problems, and then downgraded back to vers 2. I am currently up to 2.7.3. Loading pdfs into version 2.7.3 worked fine. The pdfs were matched, and the matching worked well. The problem came when I needed to cite the reference in a document. I could enter a couple of references, then I had to get out of Word, close Papers, then open it again. Then I could add a couple of references etc. I finally got the document done, checked the references, everything was okay and off it went(Internal grant). Since version 2.X was giving me problems, I decided to bite the bullet and upgrade to version 3. I am on version 3.2.7. Pdfs load in okay, but the matching doesn’t work that well. I have to manually match more pdfs than I used to. Also, some of the automatic matching is messed up. The citation is missing information. So, more manual matching. Searches work fine. I used version 3 for an R21 that I submitted last week. It worked okay, although a few of the references were kind of weird. I went through them and edited them and then off it went. I am giving Readcube a try. So far, not going that well. I couldn’t get the import process that they have for Papers libraries to work. So I dragged the pdfs into Readcube. This process took quite a long time(4500 pdfs). When it was done, many of the pdfs weren’t there, though the citation information(title, authors journal, etc)was all there. It is possible that the process hadn’t finished, I had to shut the computer down. The folks at Readcube have been very responsive. I told them about my import problem, there was some back and forth, and they have apparently identified what the problem was. They’re patching the program and will release a new version next week. I will come back and let people know if the Readcube solution is a good one. My university has some kind of deal with Mendeley. I haven’t gone that route yet. Was just about to download Papers 3 and read all your comments. Phew! I have 17,000 pdfs on Papers 1, which works well but it on an 8 yo (yes 8 year old) Mac Pro running OSX 10.4.11. Now getting worried about keeping them filed etc when the inevitable relocation is required. Papers 1 works seamlessly with iPad Papers iOS. Kept old computer just because of Papers1 . Waiting for an alternative to come along that allows transfer with file headings and metadata intact on Papers 3.
papers 3 is awful – memory leak, crash, etc. But, but there is no such thing can replace it. I tried ReadCube, it doesn’t support search and match well – only ReadCube and Google Scholar(and Google Sholar doesn’t work on my Mac), it’s smart cite still in beta and thus only support Word and Pages. Mendeley also lack a lot of key features.